A man from Wick has been named and charged by police following a drugs arrest, according to Arun Police. Raymond Miller, 36, of Blackbourne Chase, Wick, was arrested by police under suspicion of possessing a Class A drug. According to Arun Police's twitter feed, he has now been charged for possession of a Class A drug. 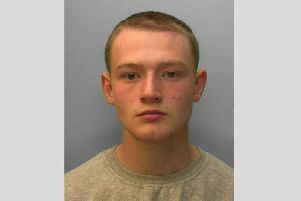 He will be appearing at Worthing Magistrates' Court on April 16, police said. In a subsequent tweet, Arun Police said: "We continue to tackle drug related issues across the Arun District. "Please keep reporting incidents of drug activity to us so we can build intelligence and target our patrols. Report to either Sussex Police or anonymously to Crimestoppers."